Wasps are terrirtorial and are tricked into thinking that the Waspinator is another colonies hive, rather than risk attack from this other colony, they simply retreat from the area leaving you with a wasp free garden area. Simply hang it over your patio table, on a tree, by the BBQ to create a wasp free zone of about 12 metres diameter. Award winning product with over 1 million units sold to date. No chemicals used and endorsed by Monty Don from BBC's Gardeners World and the UK National Trust. Enjoy wasp free BBQs, picnics and drinks. Can also be hung in your loft or garage to stop wasps nesting. Directions for use: Puff out the sides and make it as big as it will go. To help waspinator retain it's shape in windy conditions, you can put a balloon inside (don't blow it up before you put it in). Pull the toggle on the drawstring so it is tight against the base of the waspinator, and keep pulling until completely closed. Tuck the drawstring inside the base. Hang the waspinator from the loop at the top NOT from the drawstring. 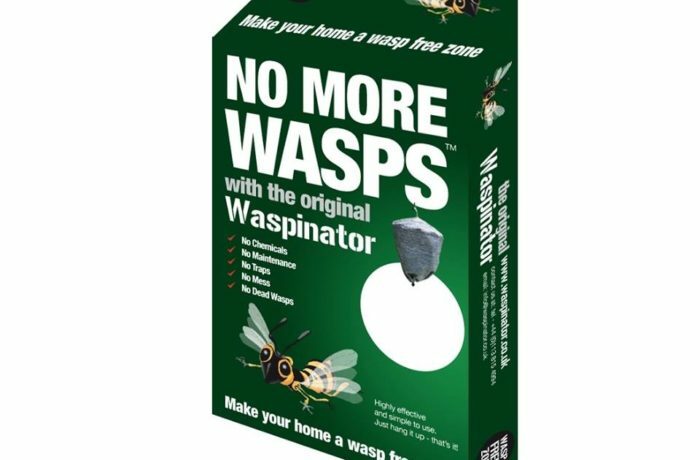 Hang it near the area you wish to be wasp free, wait 15 minutes and any wasps will go away. Each Waspinator will clear an area of around 6 metre radius. Don't kill wasps, simply make them go away. 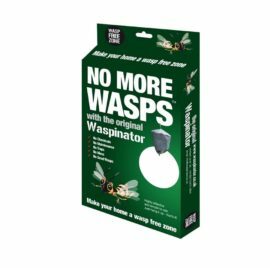 Waspinator is a simple way to eliminate wasps from your garden or outdoor area without harming them. Traditionally most wasp remedy's involved trapping or killing the wasps, however one of the downsides of this is that dying wasps send out a signal which is picked up by other wasps that they are under attack and to send reinforcements! Now it's time for something different! Endorsed by Monty Don from BBC's Gardeners World and UK National Trust.